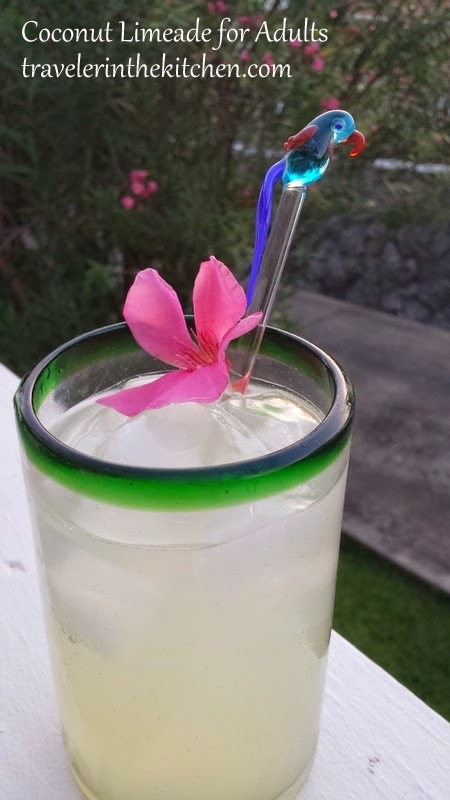 This limeade recipe is just a respectable vehicle for drinking Malibu rum and using my fancy glass swizzle sticks. Not a problem. This past week, the weather has gotten warmer and drier here on the west side of Maui. Since it's always 5 O'Clock somewhere, and here in paradise, it seems like if you're not working, it's happy hour at any hour, I'm enjoying bringing this limeade into rotation. I've sipped it on the lanai as well as taking it on the road to drink at the beach. Pour all ingredients into a tall glass (pint glasses work well). Add ice to fill. Stir. Garnish with a flower from your garden or a wedge of lime. If you want a berry limeade feel, add some muddled strawberries or raspberries. Cheers to a long hot summer!